Today is the day! Our final #SGL logo submission! This one comes to us from Mark Burkholder of Lansing. 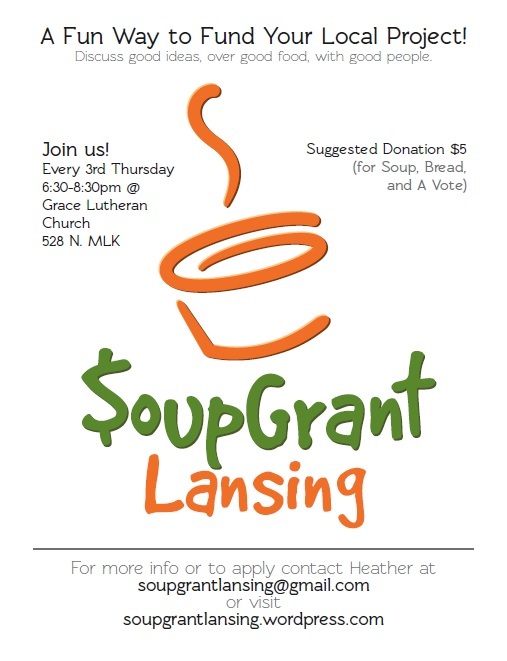 If you like what you’ve seen in our top 10 finalists these past two weeks, be sure to join us at SoupGrant on March 20 to vote on your favorite! We’ll be awarding $100 to the winner. About the designer: I grew up in Lansing and attended Lansing Catholic High School. I earned a Bachelors degree in Graphic Design from South Dakota Sate University. I am currently living in Lansing and I enjoy helping people whenever I can. If you’d like to connect with Mark, check out his website.